Once Dismas Hardy was a cop. Now he spends his days in a lawyer's suit, billing hours to a corporate client in a downtown San Francisco office. Hardy's wife and kids like it that way. Then one client changes everything. Graham Russo, a former baseball star, is charged with murdering his dying father. Was it suicide, the last desperate act of a dying man? Was it murder? Or mercy? Now, as a carnival of reporters, activists, cops, lovers, and families throng around the case, Dismas Hardy is going to trial with a client he doesn't trust, a key witness he cannot believe, and a system that almost destroyed him once. For Dismas, this case will challenge everything he believes about the law, about his family, and about himself. Because a chilling truth is beginning to emerge about an old man's lonely death. 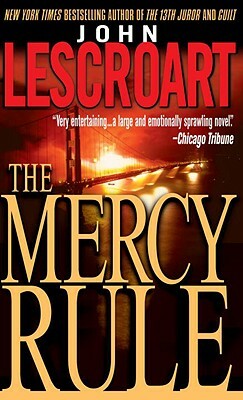 And what Dismas knows could put him next in line to die. . . .
John Lescroart is the author of ten novels, including the New York Times bestsellers Guilt and The 13th Juror. He lives with his family in California. "Very entertaining. . . a large and emotionally sprawling novel." "A taut read. . . Another winner." "A thought-provoking and important novel."